In what is arguably one of the most closely watched County Council races this election cycle, Tamara Paltin and Rick Nava hope to fill the West Maui residency seat soon to be vacated by Elle Cochran, who is running for mayor. Neither candidate has held elected office, but they aren’t exactly political novices: Paltin squared off against Mayor Alan Arakawa in the 2014 general election; Nava made an unsuccessful bid for the West Maui residency seat that same year. He says it’s not just a campaign tactic — it’s also a conversation starter. “I want people to know I’m running for office so they can tell me what issues are important to them. Now a 30-minute trip to Costco can turn into two hours,” he said. If elected, Nava, 59, said he would work to ensure residents’ voices are heard, something he takes very seriously. “I take the time to listen because I care,” he said. 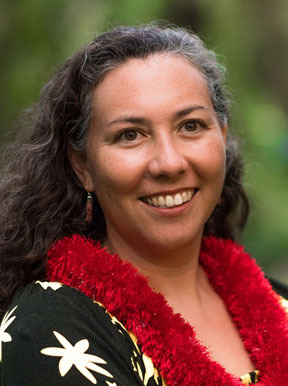 Nava ran for the West Maui residency seat as a primary candidate in 2014, garnering 4,920 votes, or 17.4 percent, in a three-way race to advance to the general election. 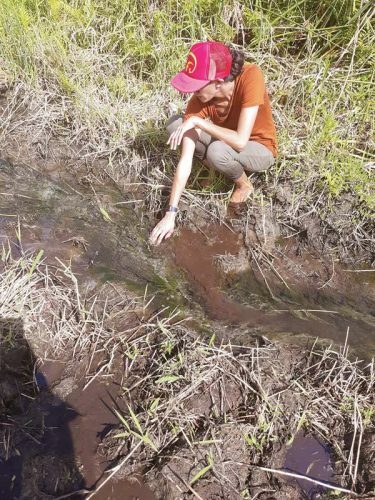 He considered trying again in 2016, but instead opted to complete a Rotary-sponsored clean water project in Tacloban, a Philippine city still recovering from Typhoon Haiyan, in 2013. Earlier this year, after securing enough funding for a fourth clean water project in the Philippines, he decided it was time to run again. An alumnus of Lahainaluna High School, Nava served for nearly three decades in both the U.S. Army and Army Reserve. Today, he’s the president and owner of MSI Maui and Aloha Moment, a photography and video production business. 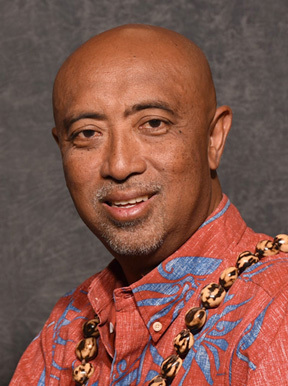 Nava has served three terms as president of the Rotary Club of Lahaina, his last term ending in June. He was the president of the West Maui Taxpayers Association (he resigned in May to run for the council seat), former treasurer of the Maui Chamber of Commerce, a member of the Maui County Police Commission from 1995 to 2000, a youth sports coach, and a longtime volunteer for an after-school tutoring program in Lahaina. For Nava, there’s one issue that lays the groundwork for the rest: more community engagement in the political process. If he’s elected, Nava said he would look into dispatching a food truck-style mobile voting unit, and he’d push to hold topic-specific public hearings at times and locations that would accommodate residents who might not otherwise be able to attend meetings at the county building. He also plans to send follow-up letters to anyone who testifies before the council, thanking them for their contributions and explaining any corresponding outcomes. When it comes to campaign issues, Nava says increasing the supply of affordable housing, expanding public transit and growing new farmers are three of his top priorities. The county should actively seek to partner with homebuilders to ensure more affordable housing projects are in the pipeline. 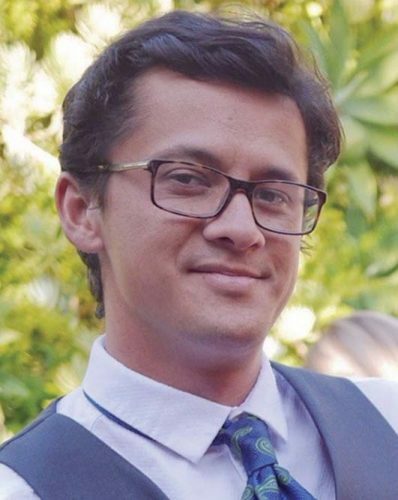 Additionally, to increase the affordability of new developments for homebuyers, Nava said the county should take the lead on building and maintaining the private roads that connect to existing ones, rather than having the homeowners foot the bill. Nava said he would also look for innovative ways to boost local agriculture. Inspired by the efforts of GoFarm Hawaii, a Hawaii-based beginning farmer development program, he said he’d like to see county-sponsored agro-tourism opportunities and programs in the same vein as Future Farmers of America, as well as more emphasis placed on creating and sustaining school gardens countywide. If he claims victory in the general election on Nov. 6, Nava said his door would always be open to constituents. When it came time to pick a college major, Tamara Paltin says math just added up. “I like solving problems,” she said. If she’s elected, Paltin, 41, plans to put her quantitative mind to work on the council. In fact, one of her top priorities as a newly minted council member would be ensuring the legislative body crafts a sustainable budget that sufficiently funds core services, invests in infrastructure and improves residents’ quality of life. After earning a bachelor’s degree in mathematics education from Northern Arizona University in 1998, Paltin returned to Hawaii with her sights set on becoming a high school teacher. But a statewide teachers’ strike led to a change of plans — and scenery. Paltin switched gears and took a job as a beach lifeguard on Hawaii island (she’d been lifeguarding since she was a teenager), and in 2001 began protecting beachgoers as a Maui County ocean safety officer; she’s now an ocean safety lieutenant at DT Fleming Beach Park. Paltin is unquestionably proud of her nearly two-decade-long career, and if she’s the top vote-getter on Nov. 6, says it will be a bittersweet departure. “I care so much about this job, but I also care about the bigger picture,” she said. For Paltin, the “bigger picture” is promoting community-based, community-driven solutions for Maui County. And she said she’s ready to hit the ground running. “I want to get in there and get the job done,” she said. Paltin has her finger on the pulse of the community: Apart from having an insider’s view of county operations as a county employee, she is the president of the Save Honolua Coalition, president of the West Maui Preservation Association, a Hawaii Government Employees Association steward, a Ka Ipu Kukui Leadership fellow and Hawaii Lifeguard Association member. She got a crash course in local politics in 2014 when she ran against incumbent Mayor Alan Arakawa. She advanced from a seven-candidate field to the general election and lost to Arakawa 25,435 to 18,162, or 55.3 to 39.5 percent. Paltin opted to sit out the 2016 election, but earlier this year, tossed her hat in the ring for the open West Maui residency seat. She said there’s a long list of issues she’d like to tackle as a council member, but she says accelerating sea level rise and coastal erosion are issues that should be top of mind for every elected official statewide. Paltin said the storm surge-vulnerable section of Honoapiilani Highway from Ukumehame to the southern terminus of the Lahaina bypass needs to be moved inland — but only after residents provide their input. It has to be a collective effort, she said. “We need to have a community meeting and come up with one specific route <\q>.<\q>.<\q>. then get the funding.” Other proactive measures would include increasing shoreline setbacks for oceanfront properties and moving critical infrastructure out of inundation zones. New home construction is lagging even as the housing crisis worsens, she said. Paltin said she’d take a closer look at parcels of land that are suitably zoned for affordable housing; these could be put into a community land trust and kept affordable. And while there’s a shortage of affordable homes, there’s a surplus of empty retail space — and new commercial buildings continue to crop up. 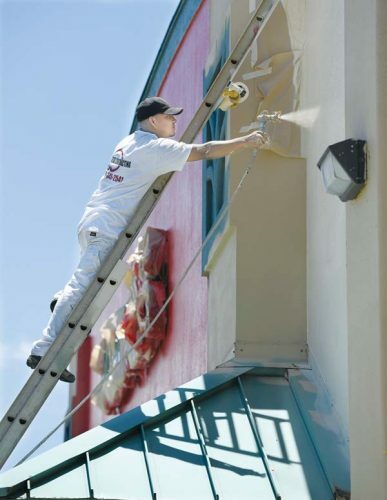 Paltin said it’s time for the county to invest in more smart-growth principles and explore ways to incentivize filling long-vacant storefronts. If she is elected as West Maui’s representative, Paltin said her constituents can expect her to be a solutions-driven council member who stands up for what’s right. She says she’s ready to listen and respond to residents’ concerns and would do everything in her power to ensure openness and transparency in local government. Among other things, she’d like to see council members held accountable for unexcused absences; a videoconferencing option for public testimony; and more working groups composed of residents who are directly affected by the council’s decisions. Paltin said she would bring her collaborative spirit to the council and work to foster more cooperation between the county’s legislative and executive branches. And above all, she seeks to infuse the council with new ideas and insight. * EDITOR’S NOTE: This story examining the race for the County Council’s West Maui residency seat is part of The Maui News coverage of key Maui County races in the Nov. 6 general election. The stories will run periodically through Nov. 4. The Maui News election guide will be published Sunday.